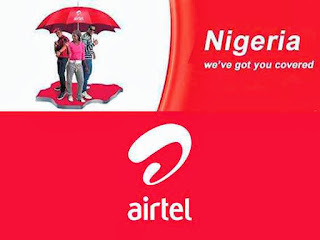 Airtel Nigeria has launched a Weekend internet data plan that offers a whooping 1GB data for just 100 Naira and it is valid for usage within Friday to Sunday Night. I will share an interesting tip with you as you read on. To subscribe to the Airtel 1GB weekend plan, dial *474*1# or *474# and make sure you have a minimum of 100 Naira as your account balance before attempting the code. BONUS TIP: If you subscribe on Sunday night, you may be able to use the 1GB data all through the week. Give it a try and let me have your feedback. I'm sure this new data plan would have definitely transmit a shocking signal to other Telecommunication service providers in Nigeria. Let's keep our fingers crossed to see how they respond to this BIG slash in data price from Airtel. That's download galore for me. Thank you , Airtel! Internet users should even expect more of this with time, as our defunct nitel-returns-as-ntel-with affordable 4G incoming. It worked on my Airtel but didn't work on my sister's. Her line was not eligible for the offer.